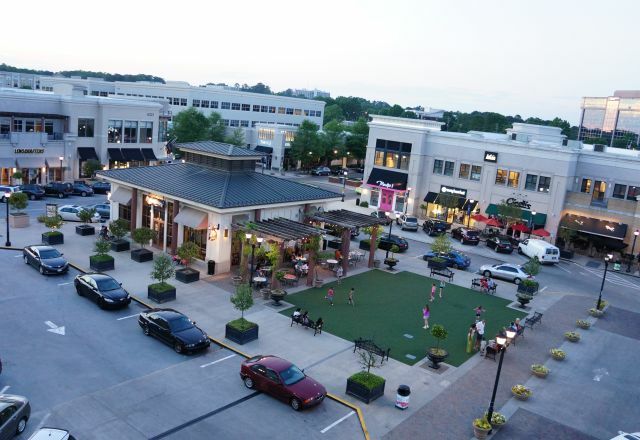 The Midtown Raleigh area includes four different shopping, entertainment and dining districts all within a short drive—North Hills, Crabtree Valley, Cameron Village and the Five Points neighborhood—plus plenty of hits in between! Each of the four areas is walkable, giving you access to all the awesome things to do at each. Cameron Village has been a Raleigh favorite since 1949, transformed through the years and spanning six city blocks. Locals and visitors have mingled in the shopping area for decades, making it a tradition and a classic spot to dive into local offerings and also national favorite shops and restaurants. For eats, Cameron Bar & Grill, Cantina 18, Flying Biscuit, so•ca, Village Deli and Rise Biscuits & Donuts are highlights. In a shopping mood? Charlotte’s, Tin Roof Teas and The Local Squirrel are good places to start! Visitors travel hours to visit Crabtree Valley Mall and shop and dine, with 220 stores including Michael Kors, Lego, H&M, Pottery Barn, Coach, Apple, The North Face, Forever 21, Tommy Bahama, Altar&apos;d State, ThinkGeek, The Disney Store and Build-A-Bear Workshop. 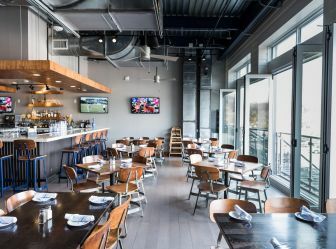 The fun extends even beyond the mall—directly across the street is the Raleigh Marriott Crabtree Valley, offering up delicious dining it its Braise restaurant, plus a beautiful terrace to enjoy drinks from the bar and time with friends. 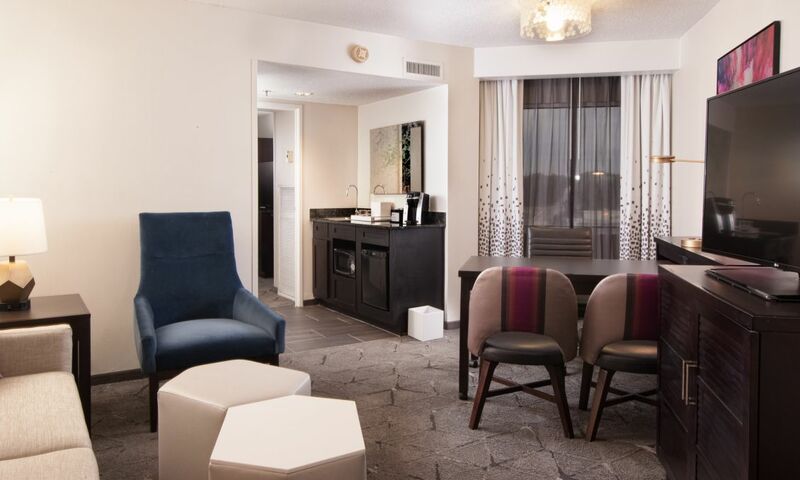 The area also offers up plenty of other, walkable hotels, extending options. Want to get some activity in? Crabtree Valley has quick access to the Capital Area Greenway Trail System’s Crabtree Creek Trail, where you can run, walk or bike through miles of scenic trails—and it connects to the Neuse River Greenway Trail! The intersection of Glenwood Ave., and Fairview and Whitaker Mill Rds., hence the neighborhood’s name, brings together a network of local shops and restaurants, plus a 1942 cinema showing foreign and independent films. 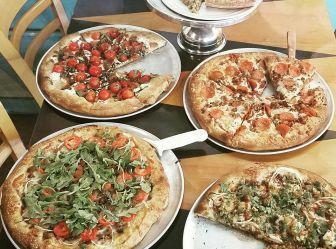 Hop between Nickelpoint Brewing Co. and Neuse River Brewing Company, then head down to Lilly’s Pizza for a delicious pie or NOFO @ The Pig for Southern dining and an eclectic gift shop to explore. Another must is Hayes Barton Cafe and Dessertery, with its 1940s nostalgia feel and award-winning desserts. Want some nightlife action? The Point at Glenwood and Proof Five Points are both go-tos. 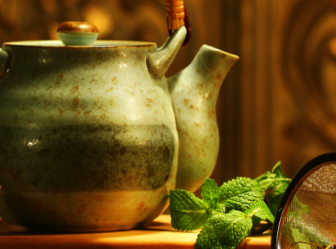 North Hills shopping and entertainment district offers up some of the destination’s most beloved events, local shops, delicious food and top-notch hotels, including N.C.’s first AC Hotel and the four-star Renaissance Raleigh North Hills Hotel. 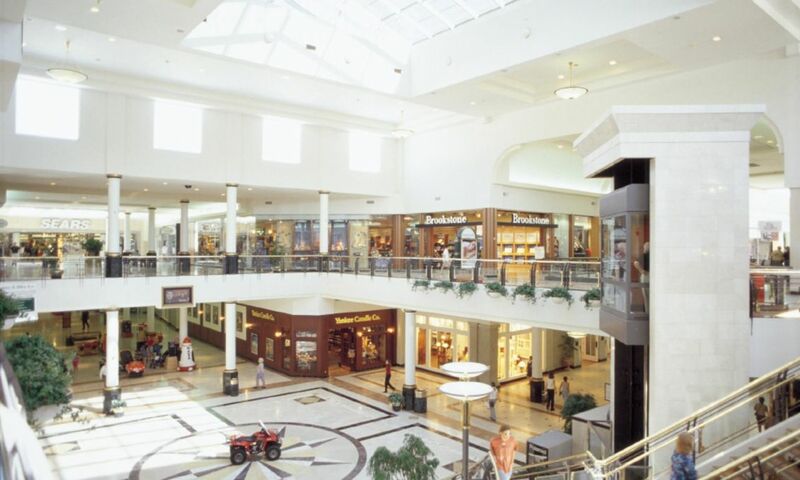 North Hills Mall originally opened in 1960 was converted into Raleigh’s first enclosed mall in 1967. Natives remember the mall as a go-to spot for shopping popular stores and for dining and mingling. 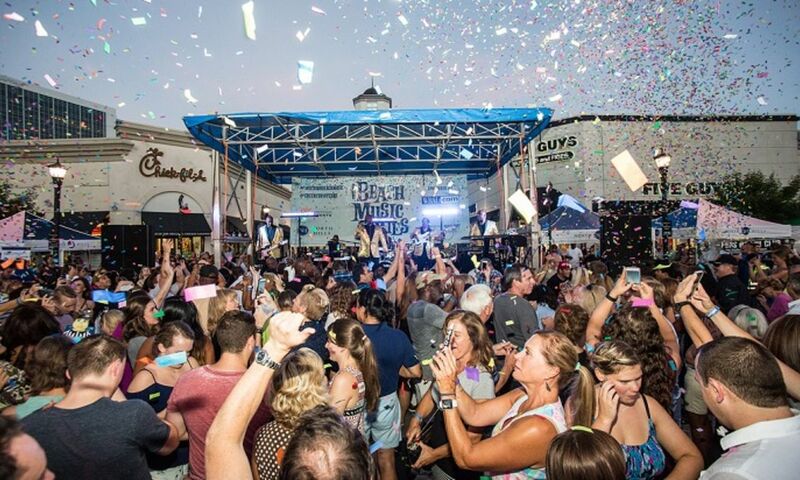 And it’s come a long way since then, now as a giant, open-air, walkable district offering more than 130 local shops, restaurants, bars, spas, a theater, an outdoor live music venue and more. Shopping standouts include the area’s hub of author appreciation, Quail Ridge Books, posh men’s clothier Peter Millar, Charlotte’s and Kendra Scott. Hungry? 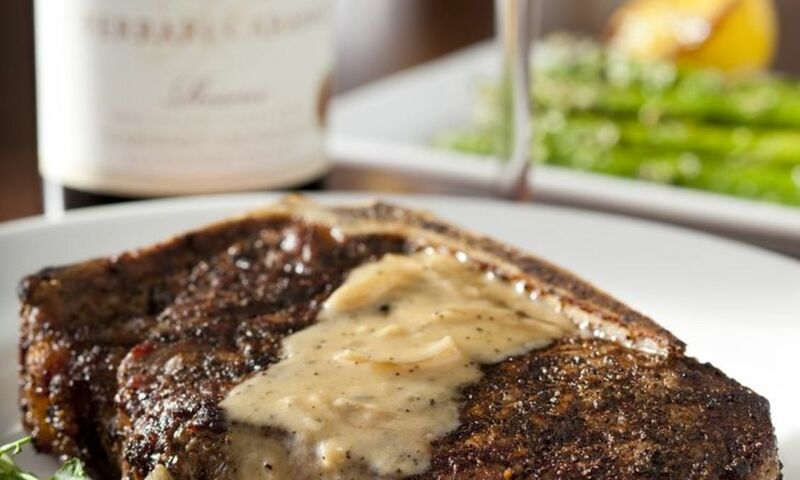 Dip into Another Broken Egg Café, Level7, Midtown Grille or Vivace. 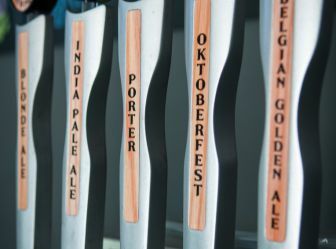 The list goes on with beer-focused spots Yard House and World of Beer. North Hills has become a prime gathering spot for locals and visitors with awesome events at Midtown Park and The Commons, including the ever-popular Midtown Beach Music Series (The Commons, April through Aug.), the Midtown Farmers Market (The Commons, April-Nov.), Midtown Music Fest (Midtown Park, April), Friday Night Tributes (Midtown Park, Aug.-Oct.) and Christmas at North Hills (pre-Thanksgiving tree lighting and holiday celebration), among others. See the full schedule here as events are posted.